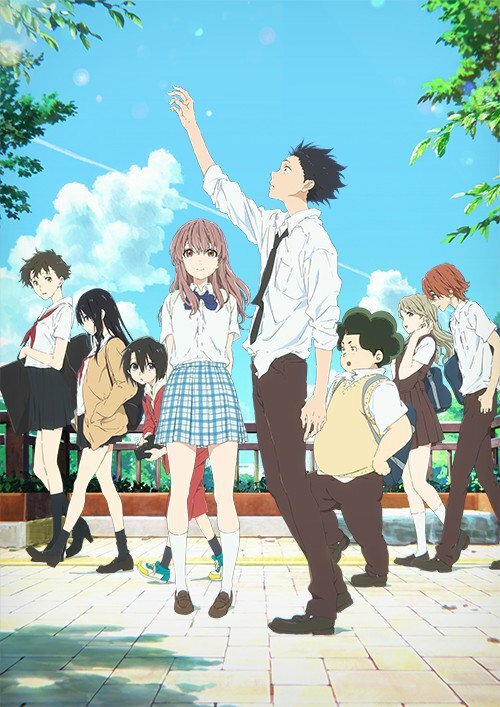 A month has passed since distributor Anime Limited had updated their Q4 2017 line-up. October saw a lot of big titles finally receive a release including Mobile Suit Gundam ZZ Part 1, A Silent Voice and recently Your Name. Now that MCM London Comic Con has concluded they have now updated their release date schedule. Please note that the dates are not final and could change over time. 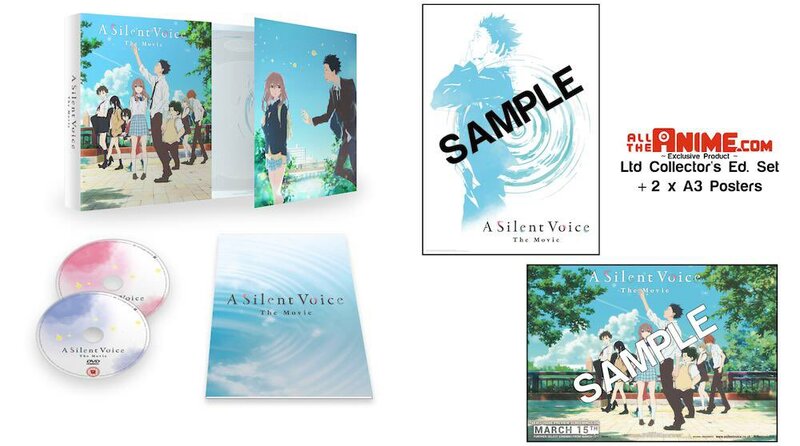 But let’s start with the good news first, Anime Limited have officially received approval for the designs of the two A3 Exclusive posters that are included with their Shop Exclusive bundle of the A Silent Voice Collector’s Edition, currently set for the week commencing 20th November 2017. The Shop Exclusive Collector’s Edition as well as the Standard Collector’s Edition are both confirmed to be running low on stock so if you are interested in them, we highly recommend ordering sooner than later. The Standard Collector’s Edition is available now for all retailers outside AllTheAnime’s Shop. 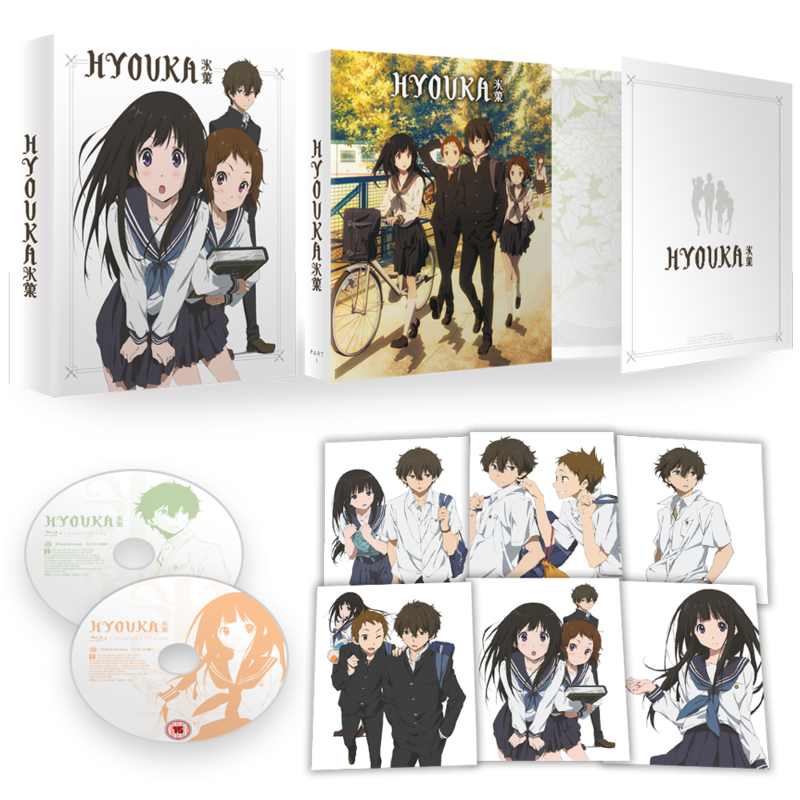 In addition you can also now pre-order Hyouka Part 1 Collector’s Edition for an early bird price of £34.99 via their AllTheAnime Shop until Monday 13th November 2017. The set is currently scheduled for 4th December 2017. There is also time to pre-order Eureka Seven Complete Series Ultimate Edition for an early bird price of £89.99 via their AllTheAnime Shop before the deal concludes on Sunday 12th November 2017. The Ultimate Edition will be available for all retailers commencing 20th November 2017. Your Name fans have already started celebrating the UK release as the film is now available for retailers. Andrew Partridge has also announced that the film is currently the third best selling release for this week so far (behind both the latest Transformers and Despicable Me movies), plus a digital download of the film has also been mentioned but currently has no set schedule just yet. In addition the Deluxe Edition is almost here and the secret item was also revealed – it’s Mitsuha’s bracelet! The AllTheAnime & Zavvi Exclusive set is currently set for release commencing 23rd/27th November 2017 with only 2000 units available. We expect the set to also sell out before the end of the year so we also recommend ordering it as soon as possible. The Standard & Collector’s Edition Steelbook are available now. Now onto the release date schedule. It’s now November and we have a couple titles due for the month. We can confirm all titles due for November have been rated by the BBFC. December will be offering a couple cool titles, however a select few have no exact date for the time being. The good news is that all titles (excluding Gundam ZZ Part 2) listed have been rated by the BBFC. Now here’s where the bad news begins. Unfortunately a number of titles have been pushed back to the Q1 2018 schedule. We did receive confirmation of select titles prior to this news post, like Erased Part 2, Pigtails, and Wolf’s Rain at least. Some were rather predictable like Durarara! !x2 Ketsu and Lupin the Third Part IV but others aren’t. Delays have been a common trend for Anime Limited, but it’s better to push back a set to reach the quality standard than rush it out into a mess to be honest. We can confirm that Grimgar, Momotaro, Princess Arete and Wolf’s Rain have already been rated by the BBFC. That’s all of the release dates confirmed so far, but here’s the remainder of what has been licensed since. Select Crunchyroll titles won’t be mentioned as it’s unknown what’s going on with them. Stay tuned if we receive any more updates, feel free to visit the AllTheAnime shop for any news and schedule changes when it happens. The first film in the new Hi-Evolution trilogy is almost here. Anime Ltd provides some new details on the collector’s release!